My very first love in fashion was runway fashion. In my young teens, I used to think it so powerful the idea of a woman walking down a runway to showcase her clothes. Ah, the innocence of youth! Over time, though, as I tried to get a sense of my own personal style, and as I explored my relationship with sustainability, runways started to feel less and less relevant to my relationship with getting dressed. That was until a few years ago, when I set aside my preconceived notions and just tuned in to a fashion week. When I did, I allowed myself to see just how powerful runway fashion is as a statement about the moment in which we are living. Yes, fashion churns quickly, and no, I don't think the world either needs nor can realistically manage new collections of clothing every six months, increasingly scattered with resort and pre-season collections in between. I think the fashion industry should have a conversation about the environmental feasibility of this kind of speed and the accelerated rate of consumption (and sense of disposability) it promotes. But none of that should diminish from the importance of fashion designers having a platform to showcase clothing that captures the social, political, economic, and cultural climate at this moment in time. Because, isn't that ultimately the job of fashion in our society? To reflect back to us what we are thinking and feeling, what we value, and who we are? So, with NYFW closing today, here are four collections that stood out to me for a variety of different reasons. If you tuned in, what stood out for you this NYFW? If not, I'm curious why. And how do you feel about the relevance of fashion week to you? 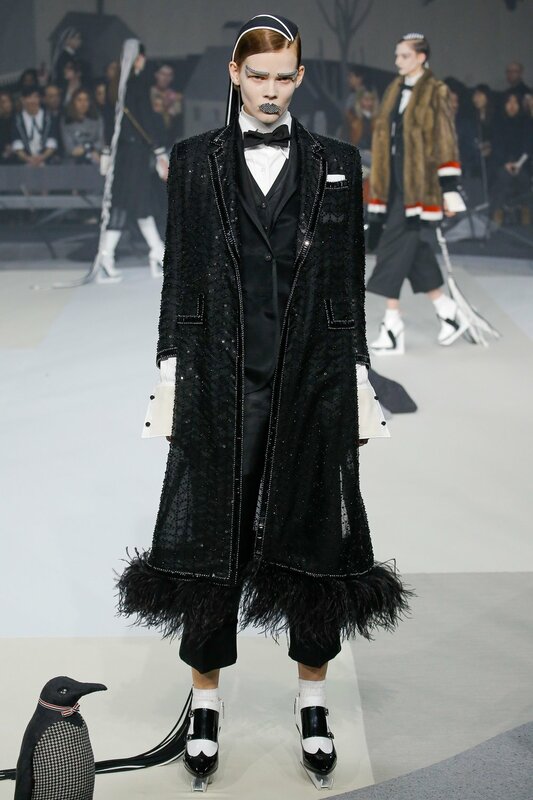 I continue to feel that Thom Browne just might be the most interesting fashion designer today. He gets it on so many levels. His collections demonstrate an uncompromising eye for materials, tailoring, and fit, which together comprise the beating heart of good fashion if you ask me. 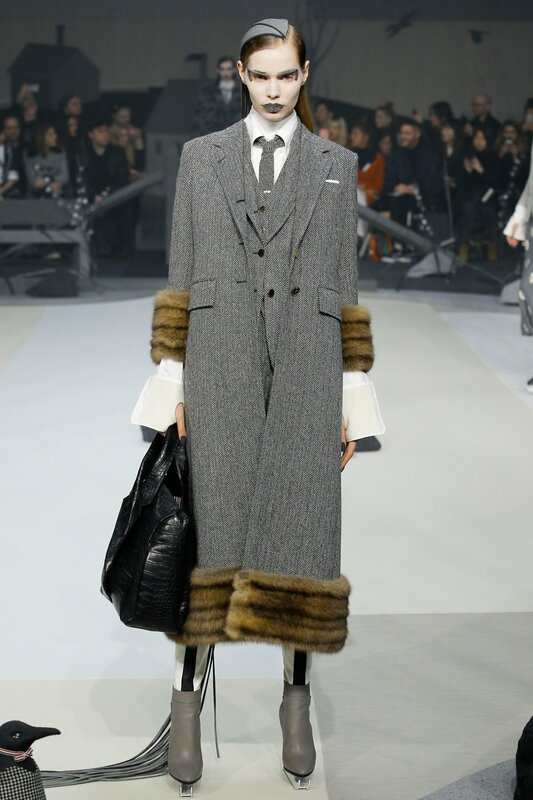 Yet, rather than feeling stuffy, the clothes feel both remarkably avant-garde and perfect for this moment in time. Mr. Browne's shows also exist at the very fine line between fashion and art, which is an important statement for a designer to make today in the age of street wear and with the rise of an anti-fashion aesthetic, such as that of Eckhaus Latta. Sies Marjan makes me think about the possibilities that exist for clothes, well beyond the definitions of skirts, shirts, and dresses that we've come to accept as given. The asymmetry in the clothes, and the drama of the draping fabric that results, seem designed to showcase the power and beauty of a woman precisely when she is moving. Is this a metaphor for feminism and the importance of women's mobility (socially, economically, reproductively)?! If it is, how cool. 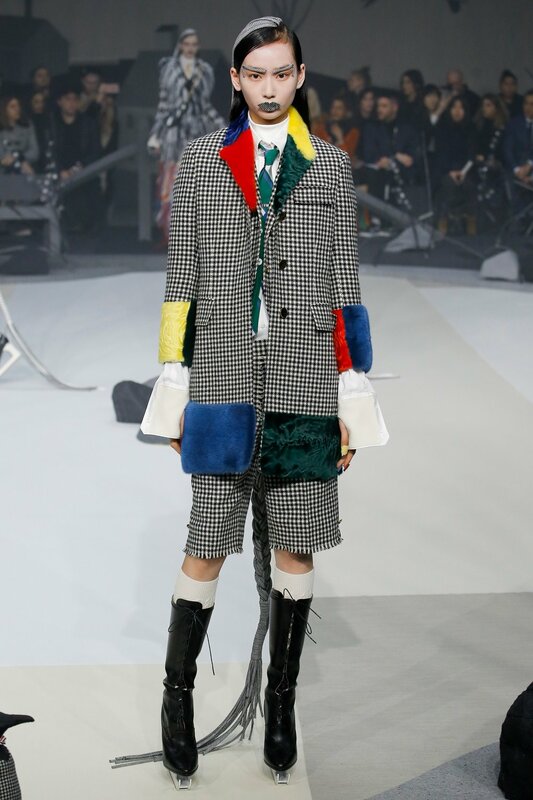 I love it when designers create clothes that can be feminine and feminist at once. If it's not, no problem. The clothes are pretty beautiful as it stands. Rosie Assoulin stands out in my mind for so many reasons. Perhaps most of all, I find her clothes strikingly beautiful in a completely innovative way that is all her own; you know it when you see a Rosie Assoulin design. 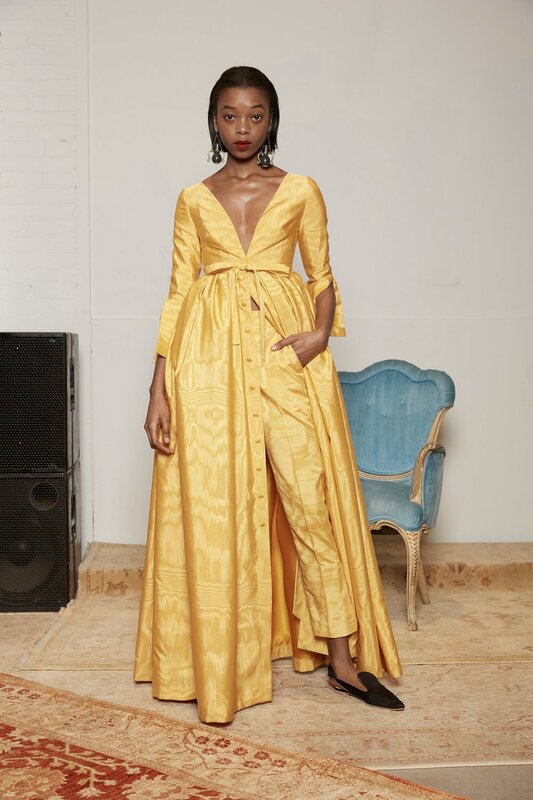 And although she makes clothes that exude femininity, she has the courage and the vision to push the envelope on what that femininity should mean today. This results in clothing that is somehow dramatic yet wearable, unexpected yet you can relate to it, and very much reflective of what modern dressing up might look like. I almost lost my mind for the Monse Spring 2017 collection. I have to admit, I liked this collection less, just at a very visceral level, but I still love what Monse is doing, and I think they're innovating and pushing the boundary in fashion in an important way. As with our society at large, fashion is in a tenuous place today. The shifts brought about by digitization, social media, e-commerce, political developments, and climate change (to name a few) have forced the fashion industry to deeply question its role in our society. Figuring out those questions is precisely the work of young designers, and Monse is one of the brands taking the lead in starting to formulate some of those answers. If I had to describe the Monse collection in one word it would be: interesting; they make clothes that make us think. Take for example the brightness and softness of this feminine yellow velvet ruffle contrasted against dark, edgy leather pants. What is this combination really saying about the woman wearing it? What is it saying about the role of fashion in women's lives? TBD. Photo: Yannis Vlamos / Indigital.tv via Vogue. I enjoyed seeing this crisp white shirt worn backwards at R13. The Khaite woman continues to be the woman I want to be when I grow up and shed this maximalist phase I'm currently in and revert to my essence which is a neutral-loving minimalist who lives in The Row. Make that The Row with a splash of Khaite.